Located down a bumpy dirt road that barely fits a car, you’ll find a hidden paradise sitting among tall grass and lush greenery with nothing but the sounds of nature and occasionally the sounds of the nearby villages. 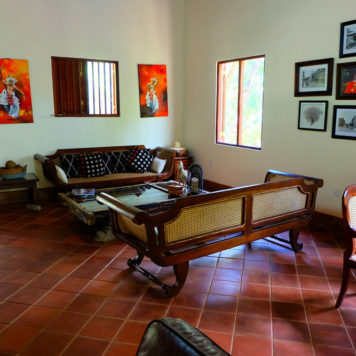 Mahagedara Retreat is located in Sigiriya, Sri Lanka, home to one of the most valuable historical monuments in the country, Sigiriya rock fortress or Lions Rock. Mahagedara (meaning family home) has only been open since January 2017, however it has been four years in the making. 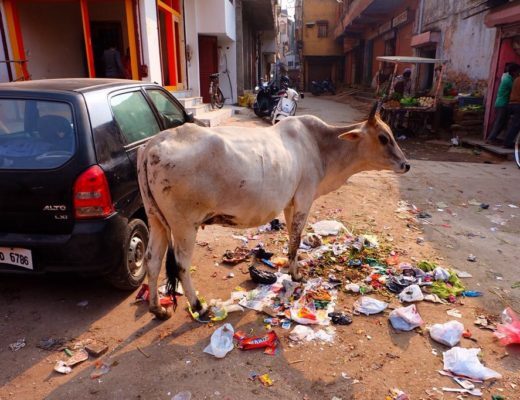 The owner, Lakmali, purchased the land approximately four years ago and at the time, she couldn’t even drive her car into the property as it was covered in tall grass, trees and was literally just a piece of the jungle. This is how she knew it would be the perfect place to build an oasis. 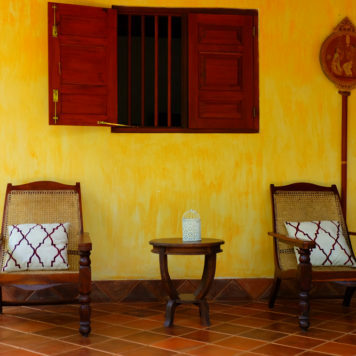 A retreat that would allow guests to find balance in their lives, enjoy Sri Lanka’s beautiful nature and experience something different than your usual travel experience. 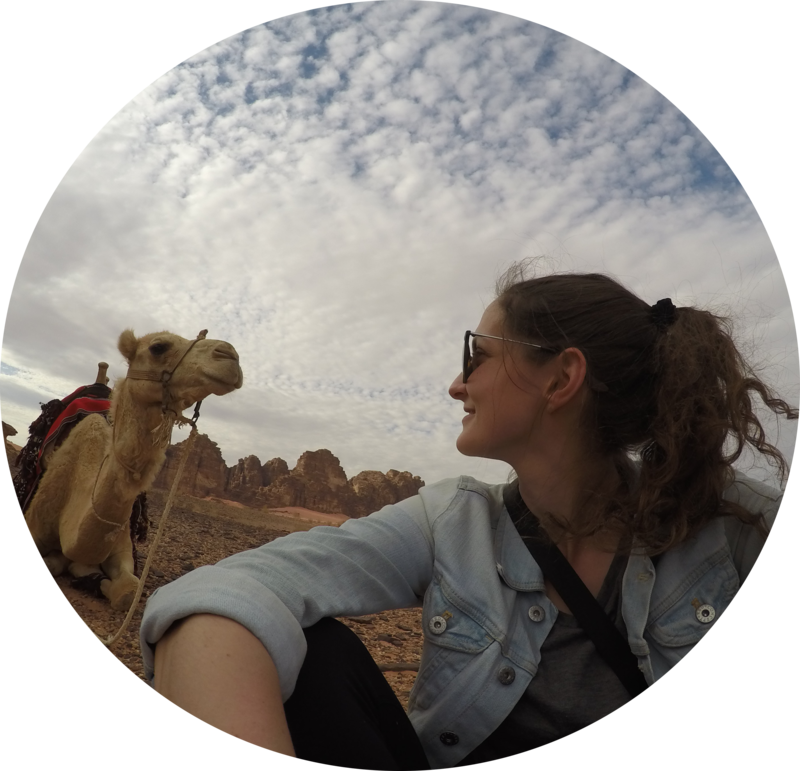 I had the opportunity to experience the retreat in April and I truly fell in love with the country, culture, and a different way of travel. 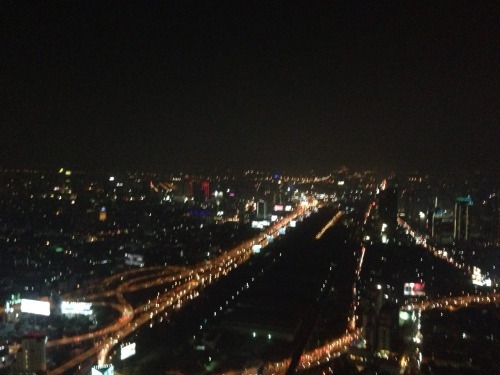 I’m used to fast paced travel where I’m always on the go and always moving, much like my regular everyday life. However, at Mahagedara I was given the chance to unplug, regroup and relax. The rooms at Mahagedara are truly unique. In fact, they aren’t really rooms. 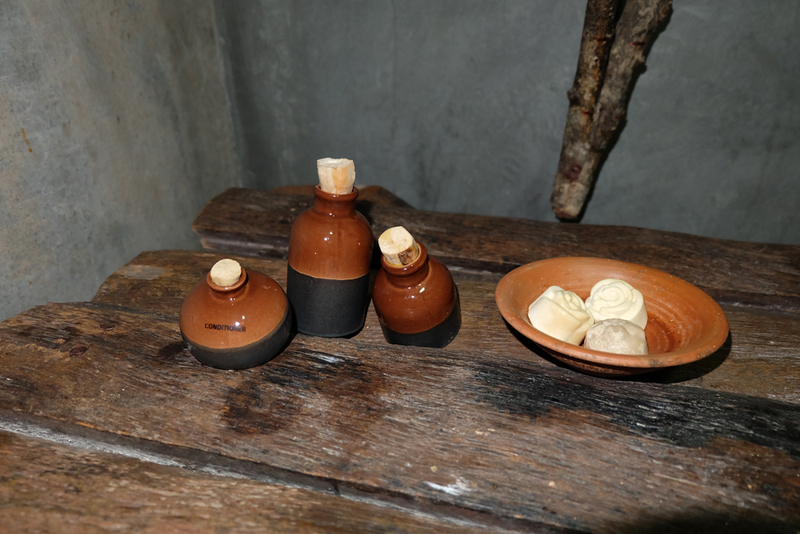 Instead, you’ll get your own home/rustic hut. When you book your stay here you have the option between the different huts. 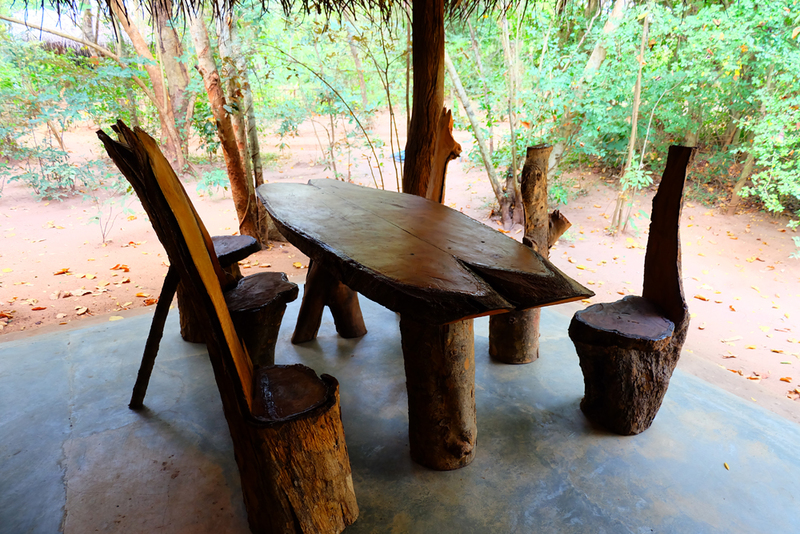 Although they are all very similar, they all are located in different areas of the property, have unique decor that is eco-friendly (many of the furniture is even made out of trees from the property next to the retreat that sadly were plowed down by developers). My hut was a village hut called Sera (meaning lemongrass). It had both an outdoor and indoor shower, hot water, two single beds and of course, air conditioning since it can get incredibly hot in Sri Lanka (it was 36 Celsius when I was there). The windows and doors can all be opened up to really embrace the nature around you, however if you’re scared of bugs, you may want to keep them closed. 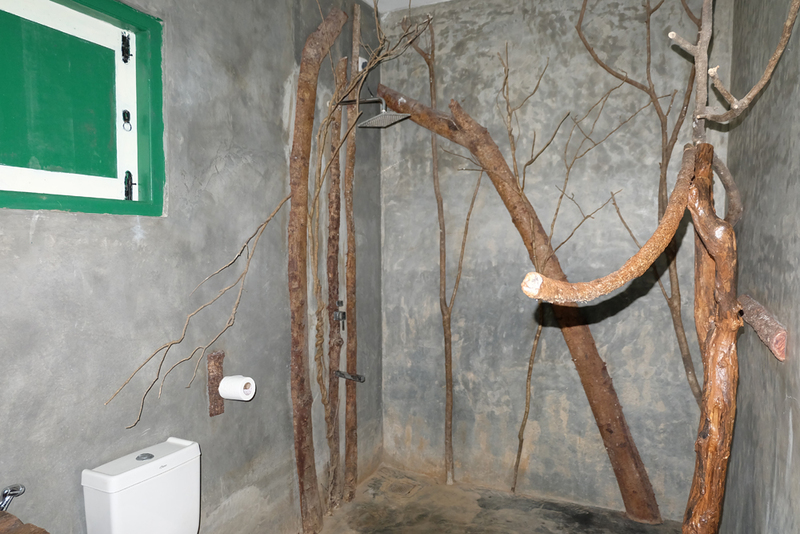 My bathroom was super cool as it was decorated with recycled trees and felt incredibly rustic but clean and comfortable. Shampoo, conditioner, soap and body wash are provided as well as natural bug repellent and a jug of clean drinking water. All water that comes through the shower and taps is also filtered and although not the best to drink, is perfectly fine for brushing your teeth, etc. If you are looking for something a bit less rustic, they do have one room attached to the main reception called the Mahagedara Room. The men that work at the retreat will walk you to your room each night given that it gets pitch black on the property since there isn’t many outdoor lights (very eco-friendly). You’ll need to bring your provided flashlight with you at night but although this can seem scary or intimidating to some people, I felt entirely safe the whole time. I loved listening to the nature that surrounded my room but if you are someone that isn’t used to being right in the midst of nature, it may take some adjusting. One thing to note too is that you WILL see bugs and other creatures, all sorts, all kinds, and they’re unavoidable given you are in the jungle after all. So be prepared and learn to embrace it. The retreat is fully equipped with everything you need and the staff are friendly and attentive to ensure you have the best stay possible. Aside from the huts, there is also an outdoor spa onsite and a pool which is perfect for cooling yourself down. 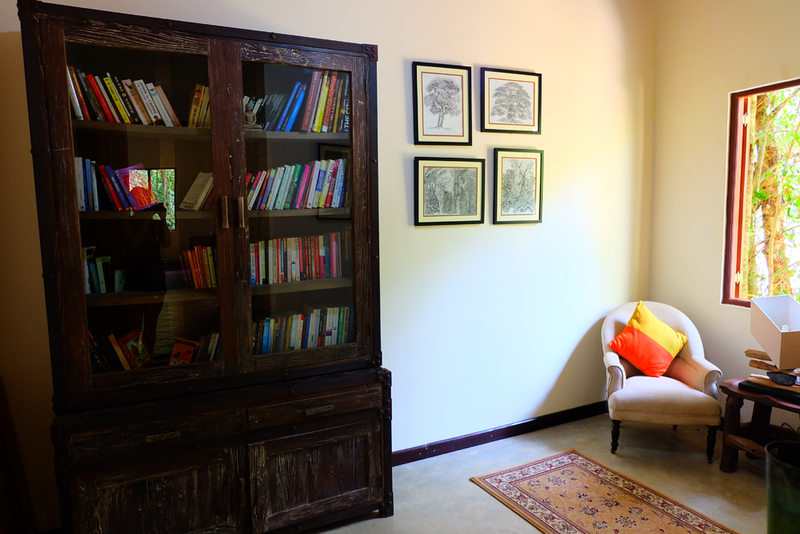 There is a main reception building that you can spend your time in that is complete with a small library with a series of different books. Next to the reception is the eating area. Meals aren’t served on a strict schedule but usually happen at around 7 or 8am for breakfast, 1pm for lunch and 6pm for dinner. The meals are served in a buffet style and there is about three to five dishes you can mix and match on your plate. 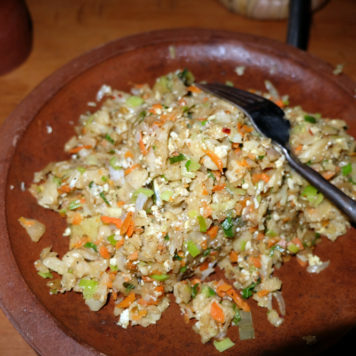 Sri Lankan cuisine has influences from Indonesia and Southern India. 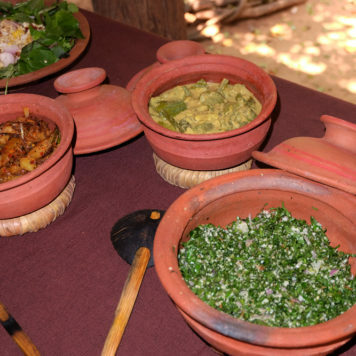 The cuisine usually has staples like rice, coconut and spices, and is absolutely delicious. 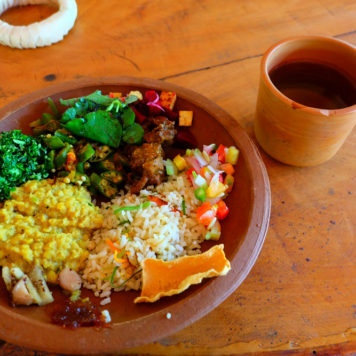 All the ingredients used at Mahagedara are from the garden right on the property or from the cooks garden at her home nearby. As you walk the paths of Mahagedara almost all the plants are edible that surround you and you’ll often see that within the cuisine you eat while you’re there. The food is mainly vegetarian and can be easily adapted to your preferences or allergies. Each experience includes different treatments that you will have during your stay. Simply Be for example is for those not looking to do much of anything. It doesn’t include spa treatments or yoga and is perfect for those looking to, simply be. Relax & Pamper is the experience I did which included different spa treatments, yoga and meditation, and a wellness consultation. This differs for the amount of days you stay (three to seven days). Detox is a much more intense experience because you are fasting throughout your stay and cleansing your body through different treatments. Living the Ayurveda Way includes yoga and meditation, inner reflection and self management techniques, a special diet to help your digestive system and other treatments. Accessing Consciousness helps you reconnect with your inner being and lastly, family is for families looking to come stay at the retreat. The best part of Mahagedara is that you can really customize your experience. Even if you pick from one of the experiences above, Lakmali (the owner) really wants you to have the best possible stay. If you don’t want to do something or tailor something to your needs, she will go out of her way to make it happen. For example, I really wanted to also get off the retreat and see Sigiriya and the surrounding area. So Lakmali helped us arrange some excursions while we were there too! I saw Dambulla Temple, Sigiriya Rock, Pidurangala Rock and Kaudulla National Park. There are also lots of other national parks in the area you can visit. 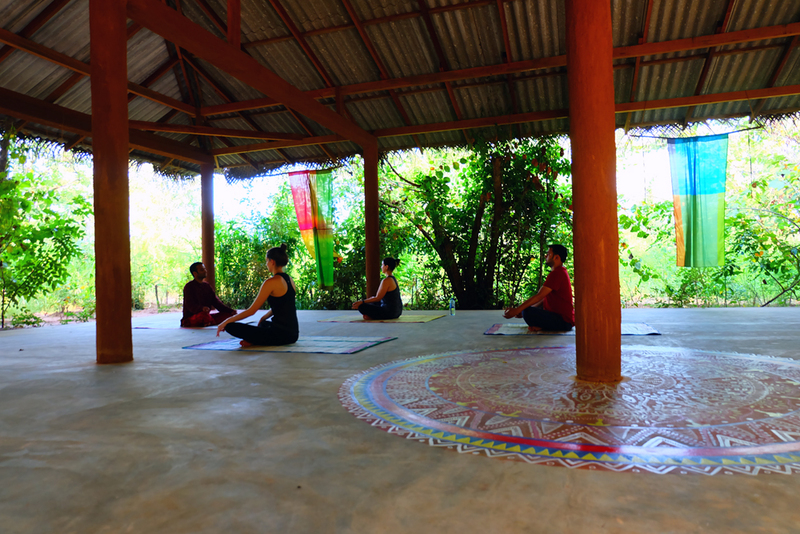 Although you can really tailor your retreat experience to your liking, yoga and meditation is part of everyone’s agenda in someway (unless of course you don’t want it to be). Every morning we woke up at around 6-6:30am depending on what we had planned for the rest of the day and did a yoga, stretching and meditation session. Although teachers may differ from when you’re there, when I was visiting they were testing out a new teacher from Nepal. What I immediately noticed was how different his style of yoga and teaching was from the regular Vinyasa or Hatha classes I do back home. These classes were much more based on stretching and waking up all parts of your body and less focused on the typical “flow” you go through in yoga classes I’m used to. It was interesting to see a different type of yoga and try something new out. Each night we regrouped back in the yoga pavilion for a short (15-30 minutes) meditation session either before or after dinner. This was often based around focusing on a flame (from a lantern). I found these sessions challenging but interesting as it’s very hard for me to sit still and focus on one thing. However, it was great to learn more about meditation since it’s something I always wanted to try. 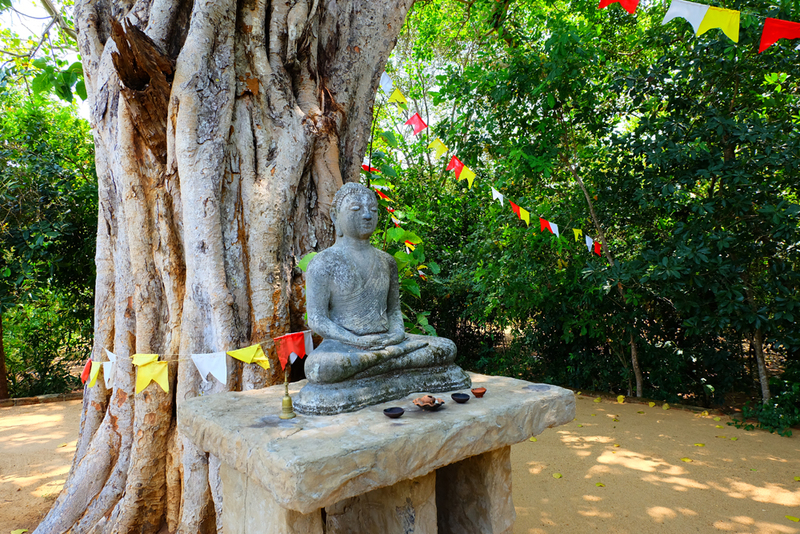 At Mahagedara there’s also a meditation area (photographed below) that can be used at your leisure throughout the day/night and a yoga pavilion (photographed above) that you can also use whenever you want to sneak in some time for yourself. 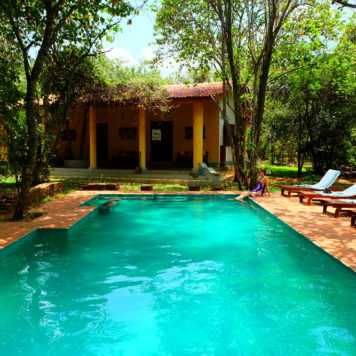 Most of the packages at Mahagedara (except for the Simply Be) include spa treatments. 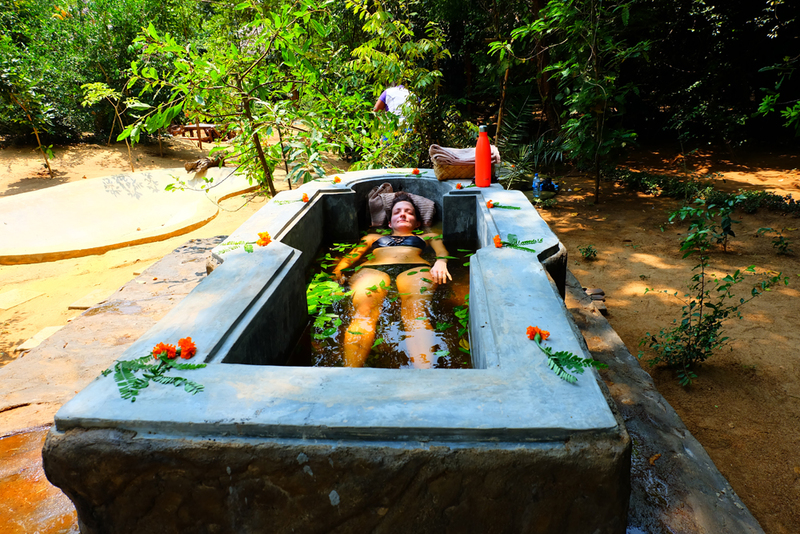 Mahagedara has a fantastic outdoor spa that really allows you to relax among nature. On the first day we were at the retreat we met with the Ayurveda specialist who asked some questions about my habits and likes and dislikes. She asked things like if I prefer sweet or salty, hot or cold foods, how I like to work, and different questions about how I live my life. From there, the specialist told me what sort of body type I have. Ayurveda medicine is a type of alternative medicine which was developed in India over 3,000 years ago. It is based on the belief that health and wellness depend on a balance between mind, body and spirit, and promotes good health. In this practice there are three basic types of body/energy types known as doshas (vata, pitta and kapha). Everyone possesses all three of these but in different proportions. 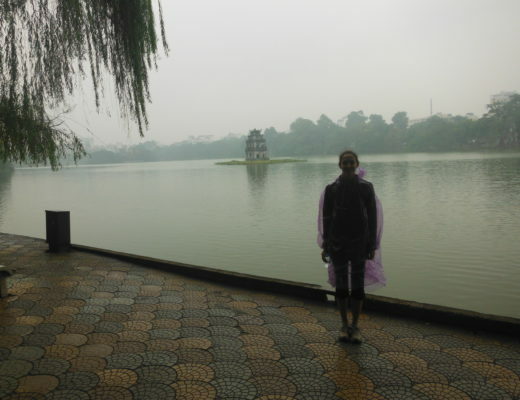 Once we chatted with the specialist, we were then recommended certain foods to eat and avoid (which the cook will make for you during your stay) and a treatment plan. I was told that the characteristics of my dosha is that I’m a leader, ambitious and a perfectionist but when I’m not balanced I can be frustrated and not care as much about other people’s feelings. This was pretty accurate to the kind of person I am which was so interesting given I don’t know how they determine this from just asking random questions. I was recommended to eat starchy foods like potatoes that evening and then lots of salads and vegetables during my time there. What was really interesting is that she told Lauren (from JustinPlusLauren) that she should avoid meat and dairy products. Without even knowing Lauren is actually Vegan it was pretty impressive that the specialist recommended this. The next few days we had a variety of spa treatments. Day one I had a full body oil massage and then was told to just relax and do no activities the following day. On day three I had a foot and leg scrub and massage since we had done a lot of walking/hiking. Day four I had a herbal bath with a variety of different detoxing leaves that help release toxins and improve your skin and finally, my last day I had another leg/foot massage (we did a lot of hiking). My stay at the Mahagedara Retreat was absolutely fantastic. I loved being among nature and really getting the opportunity to unplug and take time for myself. I opted to unplug entirely and didn’t go on my phone or connect to WiFi my whole stay there. However, WiFi is available in parts of the retreat if that sounds too stressful for you. The retreat was a really unique experience that you don’t often get to have and I would definitely go back in a heartbeat. 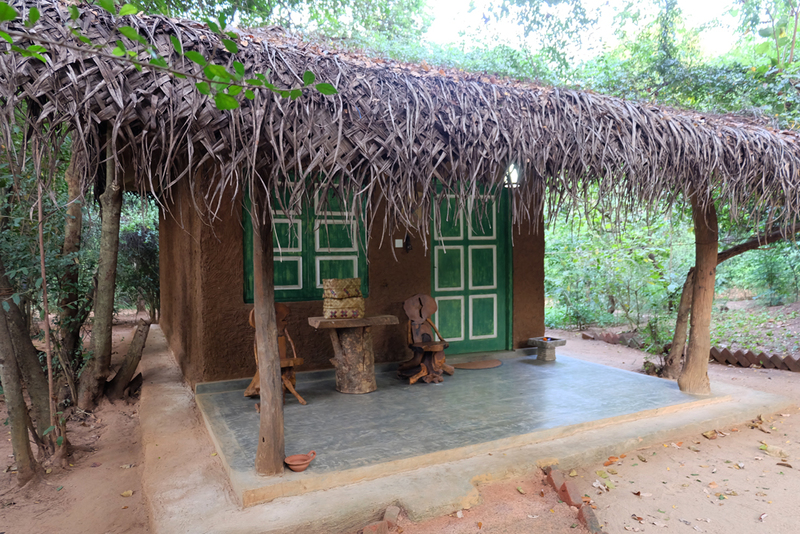 Lakmali really ensured that the retreat was built to be sustainable and eco-friendly. The whole retreat was even built to avoid having to cut down any trees at all (that’s why the layout may seem a little scattered and random). Water from showers is re-purposed, food is grown onsite, lights are minimal, and all employees are hired from local villages and paid and treated equally (a bizarre concept in this part of the world). 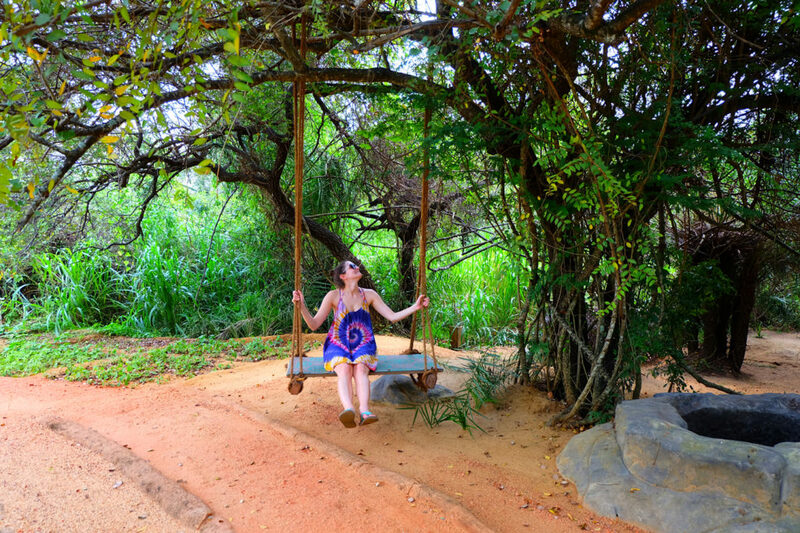 It was amazing to have a chance to focus on myself (for once) and for anyone traveling to Sri Lanka or looking for a unique getaway I’d definitely recommend Mahagedara. To book your stay you can visit their website or you can book via most of your favourite booking sites like Agoda, Booking.com and Expedia. Disclaimer: I was invited by the Mahagedara Retreat for a complimentary stay to review my experience. All opinions in this piece are my own and 110% honest.